But where did coffee actually come from? One origin which is certain is the Abyssinian region of Kaffa in Ethiopia. Probably it also derives its name from this region, though many authorities believe the name goes back to the Turkish Khavè or the Arab Qahwah, meaning stimulant. It was, therefore, due to the expansion of the Arab empire that coffee spread throughout the Islamic world and in the fourteenth century the first coffee-house was opened at Constantinople. But when did the habit of coffee-drinking take root in Italy? 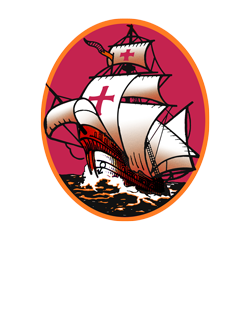 In the second half of the fourteenth century the great sailing ships, bringing all sorts of merchandise to Italy, began to discharge the first consignments of coffee beans at the ports. Venice was the first city to taste this new and special beverage. In 1763 there were, believe it or not, 218 cafés in which it was possible to partake of the beverage. And today? 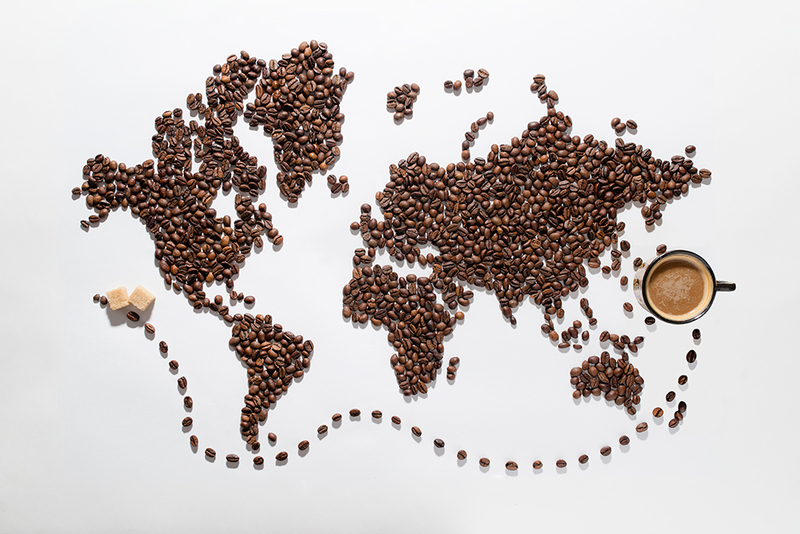 Today it is possible to drink coffee anywhere in the world, and each country has developed its own particular method of making the beverage. Coffee has become an object of study and research, at Vanderbilt University even an institute of coffee has been set up. More than 50 research reports have been presented to the American Chemical Society on its effects. According to these studies coffee enhances the effects of painkillers in cases of migraine, three cups a day keep off asthma attacks, it is antidepressive and improves the level of attention: how many other useful effects might it have? The coffee plant grows in a well-defined area straddling the equator between the Tropic of Cancer and the Tropic of Capricorn where it finds the climatic conditions most favourable for its development. Average temperatures between 15° and 25°C, abundant and regular rainfall, altitudes ranging from 400 to 1800metres above sea level and a mineral-rich soil are the essential prerequisites for a good crop. The plant is capable of reaching a height of about ten metres but both to maintain its strength and facilitate cropping, with frequent pruning, the height is generally kept at three to four metres. The productive lifetime is about eight to ten years, but in some areas original stumps from the last century are still in to be found. There are about 60 species of coffee plant, only 25 of these are used commercially and the the two most widely cultivated are Arabica and Robusta. The coffee plants of the Arabica species are the more delicate: Arabica coffee, however, is more sought after for its aroma and its pleasantly sweet flavour in the cup. The Robusta variety is very similar to Arabica but has greater resistance to disease and can also be cultivated on the plains. For this reason it has been more successful commercially. 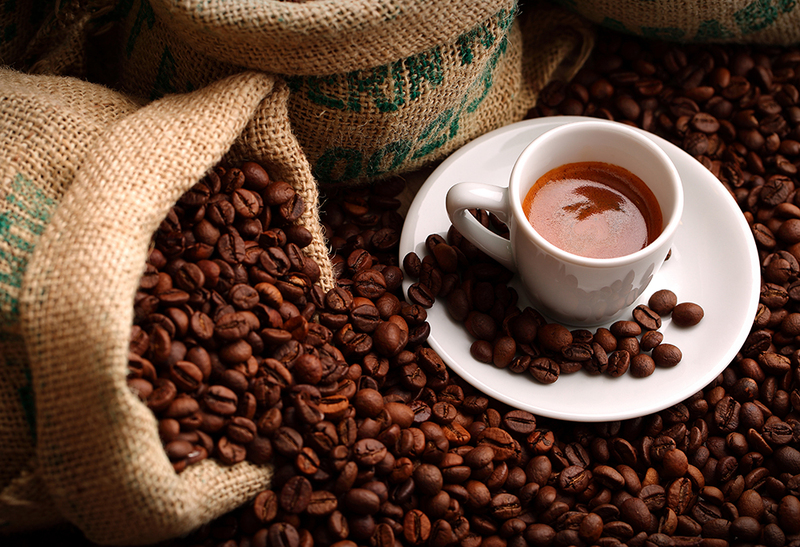 Once roasted, the Robusta beans are highly aromatic and richer in caffeine than Arabica. Thus, by blending the two varieties, it is possible to obtain coffee with a sweeter or less sweet taste combined with a more or less intense aroma, according to our needs and personal tastes. Before reaching the roasting stage the coffee beans have to be dried and this can be carried out in two different ways: a dry process and a wet process. In the dry process the coffee is left to dry naturally using the heat of the sun. The wet process, however, involves the elimination of the shell and the pulp which surround the beans by means of cylinders and grinding wheels covered with hard rubber in special machines called “despolpadores” (de-pulping machines). 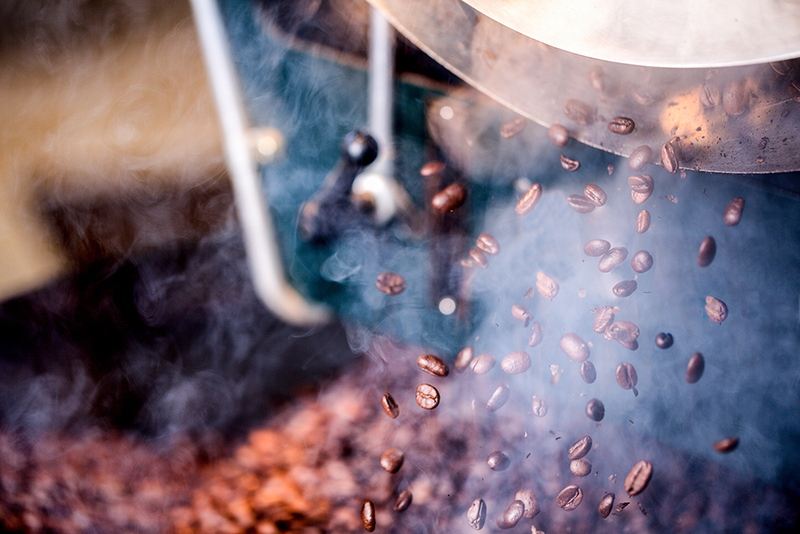 After being thoroughly washed and dried and left in well-ventilated storage rooms, the roasting stage is crucial part of the processing of the beans.